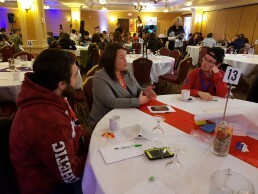 The Truro & Colchester Chamber of Commerce was pleased to partner with Truro & Colchester Partnership for Economic Prosperity, Department of Education, and Futureworx to host a Business and Youth Symposium last fall. The youth of today are our future workforce and entrepreneurs and it was great to connect with them. Here is how some of them view the future.